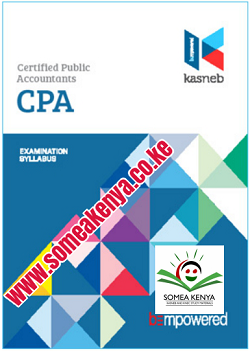 KASNEB CPA notes - Revised and updated for Current syllabus CPA section 1-6 notes. Certified Public Accountants are skilled and competent professional accountants, auditors, finance managers, tax consultants and practitioners both in public and private sectors. Hello, how long should i wait before my order is processed? Thank you guys for the good work you are doing in helping out guys with current updated notes. Kindly, how can one access full section 5 CPA soft copy/hard copy notes. I need notes for sec 6 but u guys seems u r not offering that!!!! Can be able to get that by any chance??? Hi. Am Ann. I need CPA notes section 2. How do l get them? Need soft copy. Does it include revision kits? Economics & CPA part II notes. would you mind to send these CPA notes to my email. Am currently taking Section 3 and 4 but I need to have them all. section 1-6. let me also know if you have revised KASNEB ATD notes level II that are well summarised.